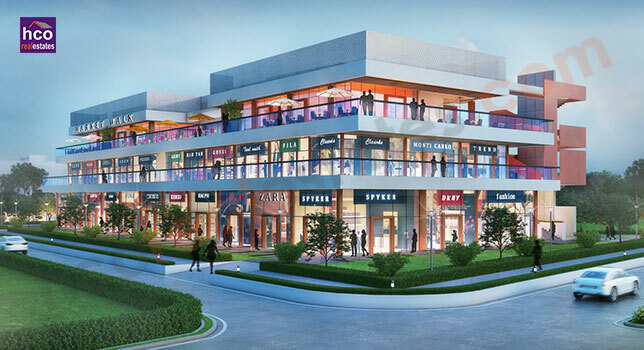 Top notch commercial address “Vatika Market Walk Gurgaon” welcomes every investor to be a part of a smart commercial hub in Gurgaon to boost the level of business and be a part of luxury commercial development that never fails to deliver its true benefits. Perfection meets at a perfect place like Vatika Market Walk Gurgaon where everything adds its exclusive value to expand the commercial hub in Gurgaon that is worth its weight in gold. Every single feature here it fitted rightly in order to gain the highest customer’s attention and run the exclusive business in the centre of sector 82A Gurgaon. It is endless, what? The advantages at Vatika Market Walk Gurgaon because it holds responsibility in Gurgaon to deliver the best brands and ideal shopping zone to the customers to meet the international shopping needs and bring a happy hub enhancing the level of business and the reputation of Gurgaon as well. Its position will not only accentuate your business, but it will boost your investment value to gain a high return over investment (ROI). Your wait is over, let your business speaks for you louder.